Sheldon Whitehouse (D-RI) was quite happy to encourage her. What an awful, ridiculous, unAmerican, outrageous thing to even suggest. Such prosecution would surely be illegal under the First Amendment, would amount to a witch hunt at least as bad as anything Joseph McCarthy ever did, and wouldn't solve a damn thing. It's hard to believe that no one in the Department of Justice or FBI told her, in no uncertain terms, that this idea is both illegal and crazy. Especially crazy. Unlike what Whitehouse said in the video clip, climate science isn't "settled." We all know of dozens of open questions about the details of how climage change works. But climate science is, as Raymond Pierrehumbert wrote, settled enough. Warming so far is in line with expectations, and there is a clear risk of it becoming quite serious if we do not stop the carbon track we're on. At this point it's about managing risk. Don't get me wrong. I think climate deniers (quote-unquote) are wrong, unscientific, often dishonest, unethical, and can even be dangerous. It's a matter of degrees -- some not so bad, some worse than most. I don't think the science of climate change is anywhere near as "settled" as was the medical science about tobacco when the tobacco companies were prosecuted in the 1990s. Probably it never will be -- the climate system is far too complicated. But it's settled enough now for the US (especially) to take serious action to curtail its carbon emissions. Disappointing. Chilling. Stupid. Atrocious. Pick a synonymn. Villanious sounds about right to me. David, this is the Exxon stuff and whether they lied about what they knew, most notably by funding proxy denialists from the 80s onward to say things Exxon knew wasn't true. It's not a question of 100% certainty about science, it's whether the info shows they knew things and believed things internally about their product that's different from what they were funding people to say. A good tobacco equivalent was probably second-hand smoke in the 1990s - they didn't need to be 100% certain it had health effects - if the companies believed there were serious risks while telling people there weren't then they were getting in trouble. AFAIK it's only about Exxon at this point, with only denialist rags like the one you linked to claiming it meant going after anyone. So David, was the RICO case against the tobacco industry an "an awful, ridiculous, unAmerican, outrageous thing"? I personally believe that the deceptions and the cynicism of the tobacco industry were more far-reaching than those of the fossil fuel industry, and their victims were also more easily identifiable. So I actually agree with you that this is a bad idea. However, I don't see how it would be unlawful or unAmerican. It is not about prosecuting scientists, journalists or bloggers. It is about companies like Exxon. It's not a free speech issue. It's an issue of whether Exxon mislead investors into thinking climate change poised no risk to their investment. Fraud is not protected speech. 1, Not certain but believe that there is a legal question: Did Exxon Mobil deceive investors? 2. As to "I don't think the science of climate change is anywhere near as "settled" as was the medical science about tobacco when the tobacco companies were prosecuted in the 1990s. Probably it never will be ..." You really should step back and think about this as you likely should reversethe phrasing and your thinking. "medical science about tobacco" might never be as settled as climate science is today. Think this through. Imagine a team of medical doctors spends a week doing a full set of tests on an 18 year old, including an extensive chromosome analysis. Then they are asked a set of simple question: "If this person starts smoking two packs a day of cigarettes and does so for 15 years, (a) will they get cancer, (b) when will they get the cancer, and (c) how serious the cancer will be?" At best, they will be doing some statistical analysis with error curves that go every where from "yes they get cancer/no they don't" to "it will be mild/it will kill them", etc ... Climate science has far more certainty -- even within error bars and even as there are many 'uncertainties' to untangle -- than medical science does about tobacco. Here is a nice summary of the RICO case against the tobacco industry. I doubt that one can make such a strong case against the fossil fuel industry. David usually gets it right, but not this time. Lack of information is easily fixed. 1) In no sense is this Loretta Lynch's idea. It goes further back, before 2012, but at least then, at a workshop where RICO was discussed extensively. The last 2 pages list 22 participants. This was an intense 2-day workshop, with a mixture of climate scientists, those who study the climate denial industry (like me) and tobacco control people such as Stan Glantz (UCSF Center for Tobacco Control Research and Education, which includes the Truth Tobacco Industry Documents database), Stanford's Bob Proctor, likely the top historian on the tobacco industry, author of Golden Holocaust, and others. People may recall Stan from the movie version of Merchants of Doubt. If there was a single thing that the tobacco folks pounded into us on over the 2 days, it was "get the documents," and that's been happening lately, finally. "Sharon Eubanks, who now works for the firm Bordas & Bordas, told ThinkProgress that ExxonMobil and other members of the fossil fuel industry could be held liable for violations of the Racketeer Influenced and Corrupt Organizations Act (RICO) if it’s discovered that the companies worked together to suppress knowledge about the reality of human-caused climate change. She said that, considering recent revelations regarding ExxonMobil, the DOJ should consider launching an investigation into big fossil fuel companies. I think a RICO action is plausible and should be considered." So, why should anyone listen to her? I met her at that workshop, and see her every year at the Advisory Committee for Stan's CTCRE, of which we are both members. 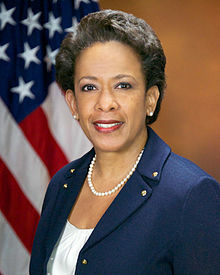 She is the tenacious, feisty DoJ attorney who drove the tobacco RICO effort through huge obstacles. Read her book, Bad Acts: The Racketeering Case Against the Tobacco Industry. and (I know) she knows enough about the climate side to make good comparisons. 3) The science comparisons are also not quite right, as mentioned somewhat by A Siegel. I'm probably the only person in the world who is both an AGU member and as closely involved with a top tobacco control group like CTCRE. Because of the latter, I get invited to internal seminars by UCSF researchers and the world-class external speakers who come by there. People who don't do that would be surprised about the not-yet-understood mechanisms in field where you cant' do the definitive experiments, and which, unlike climate science, don't get much help from the conservation laws of physics. I don't have time to do the science comparisons properly right now, but probably worth a blog post sometime. Smoking(and even more vaping) damage to health are no better proven than human causation of climate change. Of course, both are settled enough. Big Tobacco knew the science was against it by the 1950s, ExxonMobil knew by the 1980s. Both spent $ obfuscating the science for decades thereafter, especially when it looked like people might get serious, as per Surgeon General (1964) and IPCC SAR(1995) leading to Kyoto. All by itself, GCSCT 1998 sure looks like good RICO evidence. I'm with DA on this one. I'm also unconvinced that the tobacco RICO made any sense either. Just cos you hate something doesn't allow you to use any means against it. Remember the rule of law. William, the RICO against the tobacco industry wasn't about "hating something", it was about decades of deception. Indeed. But does that fall under RICO? > wasn't about "hating something"
I don't mean the case; I mean your attitude to it. You are an idiot. I do not need 5 paragraphs to tell you why and one day you will look back on this post as an oops moment.